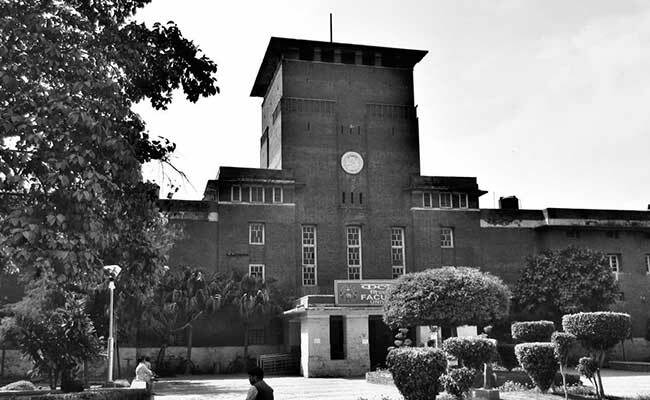 NEW DELHI: Delhi University servers are groaning under pressure during the admission season with anxious students generating multiple applications and in some cases even more than 300 to secure a seat after the first cut-offs were announced. DU aspirants might have the option of studying only one course at the university but that does not, in any way, deter them from generating as many applications as they want, which many a times puts pressure on the server, leading to it even crashing on the first day of admissions after the cut-offs are announced, an official said. This year was no different. As soon as the first cut-offs were announced on June 19, the server became active from 9.30 am onwards with students logging in frantically to start applying. “Even though students are aware that once the server is active, it will be in service 24×7, they feel that it is a case of first come, first served basis. With so many students logging in at the same time, the server is bound to be under pressure,” said the official. The official said the real problem is that candidates generate excessive number of applications despite being aware that they can only take admission in one course. According to admission rules, applicants need to study the cut-off list, select courses and colleges on the university website, take printout of the admission slip and finally approach respective colleges with the slip and required documents. “However, candidates, who are probably undecided or unsure, generate more than one admission slip, thereby putting severe pressure on the server,” said an official. According to data shared by Dr Sanjeev Singh, joint director, Delhi University Computer Centre, 28,690 students generated 209607 applications during the three days in which the admission process was on after the first cut-offs. Out of these, 4,562 candidates generated more than 10 applications. The official cited the case of a student who generated 333 applications despite her not being eligible for admission during the first cut-off. Another student generated 292 applications when they can only take admission in one course. In order to ensure that servers keep pace with the admission rush is a team of six students of MSc (Informatics), led by Singh, also the associate professor, Institute of Informatics and Communication, South Campus. “We are working 24×7 during the admission season. The lab where we are working is like a war room during this time,” he added. Over 15,000 admissions took place after the first cut-off list this time, almost seven times the number last year.